Örebro is a region where music is important, not only to listen to and enjoy but also by actively participating in choirs or performing with various instrumental ensembles as an important part of peoples identity. Back in history (17th -18th century) almost all military drums came from this region. The region now boasts some 400 choirs and numerous ensembles of different kinds as well as established and “to be” rock bands and dance orchestras. You will also find musical education at every level in our area. Örebro University has its own Music College; high schools offer special aesthetic courses as well as the required music classes of the lower school system. Alongside all of this, Örebro also hosts one of Sweden’s biggest community culture schools. In a central role and place for the region we find the Örebro Concert Hall, housing Länsmusiken and the Swedish Chamber Orchestra, a place where the professional performing arts find their expression at the highest international level. The Swedish Chamber Orchestra is a leading participant in the region’s ambition of musical excellence. Since it was founded in 1996 it has established itself as one of the leading international chamber orchestras, performing in major festivals such as those of the Lincoln Center in New York City, the BBC Proms in London, the Schleswig Holstein Festival and the Barbican Centre, London, and in the leading concert halls of Europe, the USA and Japan. Together with its musical director since 1997, Thomas Dausgaard, the orchestra has pursued a clear sense of style, developing its own take of both the classical and romantic catalogue. Andrew Manze and H. K. Gruber are “artists in residence” profiling the orchestra’s commitment to the baroque and the present day as well as to its core classical repertoire. Under the leadership of Thomas Dausgaard the orchestra has recorded Beethoven’s complete orchestral works and Robert Schumann’s symphonies to international acclaim as well as those of many other composers. Currently the orchestra is recording the complete symphonies of Schubert as well as individual works by Bruckner, Dvořák and Tchaikovsky. In all, over 45 CDs have been issued so far, also including many with music by contemporary composers such as H. K. Gruber, Peteris Vasks, Sally Beamish, Karin Rehnqvist and Brett Dean. They are sold all over the world. Continually seeking to broaden its range of expression, the Swedish Chamber Orchestra initiated a new relationship with the violinist and conductor Nikolaj Znaider in 2009, in a newly created position as First Guest Conductor. Adding him to the orchestra’s “family” is very exciting – during the first two seasons with Znaider one of the artistic red threads running through the programmes will be the orchestral music of Johannes Brahms. A highlight of this series will undoubtedly be the performance of some of Brahm’s great choral works with the World Youth Choir. This concert with the two rarely heard works “Nänie” and “Schicksalslied”, in addition to the first piano concerto, will take place on 21 and 22 October 2009. We now look forward to an unforgettable week in October with the choral community and the World Youth Choir jubilee; we welcome you all to Örebro, our beautiful city in the heart of Sweden, for extraordinary musical events. 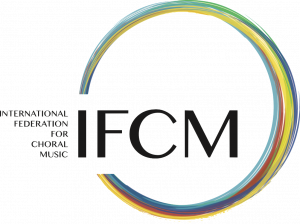 As chief executive officer (managing director and “länsmusikchef”) I see the cooperation with IFCM as a uniquely stimulating and exciting process. * In Sweden the state and the counties have set up regional organisations, called Länsmusik, to support a nationwide supply of high-quality professional music as well as inspire and actively stimulate all kinds of non-professional musical activities. The different regions have their own priorities; Länsmusiken in Örebro runs the Örebro Concert house, a venue with 700 seats built in 1932 in a beautiful location in the middle of the city. We now aim to add an International Choral Centre to the local, national and international success of the Swedish Chamber Orchestra.